Have you ever imagined that you lived inside a game, and thought, “hey, this rocks”…wishing it could be reality? Think about it. There’s a tremendous amount of crossover in terms of the real-life skills you use when playing a game. We have abilities that we can level up, we graduate, and we have personal credentials that reflect our competency. There are rules and strategies that we follow­–and if we play well, we see better results. Some people keep a mental score, though we all tend to keep score in different ways. Savvy employers are paying attention to this crossover and are using our innate desire to seek out the next challenge and grab on to personal performance metrics, to further their corporate learning strategy. So what does gamification look like? If the word Gamification still conjures up images of your kids playing Nintendo on the weekend – time to think again. Gamification is the use of game mechanics and game psychology in non-game settings to engage your target audience and motivate them to perform desired behaviors. It’s a process – a strategy, but not an end point. Gamification goes beyond an intellectual understanding of your content, to forge an emotional connection – compounding the learning experience. Within Axonify’s gamified platform, there is this one particular game that is driving me nuts. The idea behind this game is to clear the board of colour in 25 moves or less, whilst answering questions relevant to my job performance. I can see my knowledge progression (pretty cool feeling), but I always get down to one last bloomin’ square on that board. Arrrgh! I’m going to master that game if it kills me! 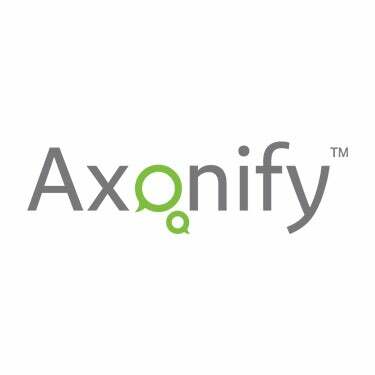 It also gives me great pleasure to follow my progress alongside Axonify VP of Marketing, Laura Martin–also a regular ColourFill competitor. There’s an inner joy that bursts forth every time I see that I’ve outplayed her. Now, with this admission, I’ve probably started a ColourFill war! My point is, while gamification takes a systematic approach to rewards and recognition, it adds a layer of human incentive and provides an effective motivational framework for engagement and continued knowledge growth. Successful implementation of gamification is achieved by running competitions against performance objectives and learning goals. Game mechanics incentivize people through intrinsic motivators such as status, sense of pride and through external motivators such as rewards and badges. Quite simply, when a user succeeds in a game, they feel good. This feeling of elation from personal achievement is now permanently linked to your learning strategy. And as a Learning Professional, what can be more motivating than that? Speaking of motivators, it’s time for today’s clash of the ColourFill titans…I’m comin’ for you Martin!